Thanks Linda!! 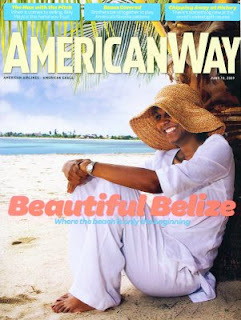 Great article and publicity on Belize. Thanks for the "heads-up" Linda. Good article. Linda, this is wonderful! I wonder if we can get a copy of this magazine. Thanks for visiting Village View Post. When this issue of AmericanWay Magazine goes to the archive, you can order it directly from their Website.